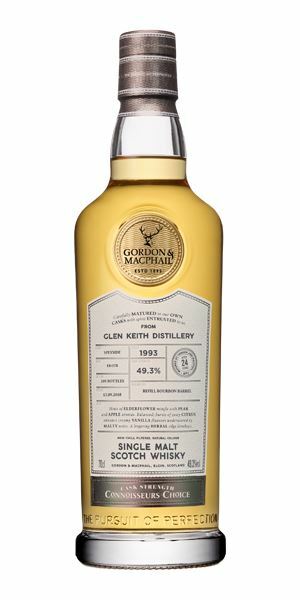 It’s an alternative Chivas line-up this week, as Dave Broom makes his way through the company’s distilleries via two indie bottlers – the old guard Gordon & MacPhail (G&M) against the ‘upstarts’ Master of Malt (MoM). The results are somewhat mixed. 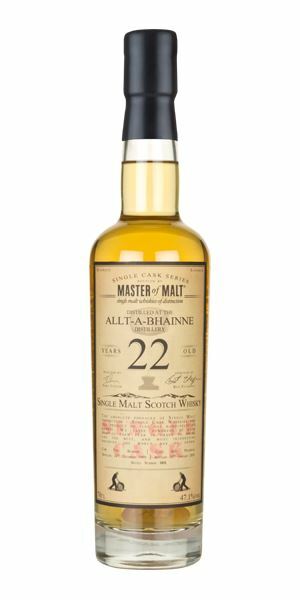 First up is MoM’s 22-year-old Allt-a-Bhainne. Bottled in January last year, Broom finds ‘freshness and bite’ with clean linen on the nose, but he feels the ‘flighty’ mid-palate requires an anchor. 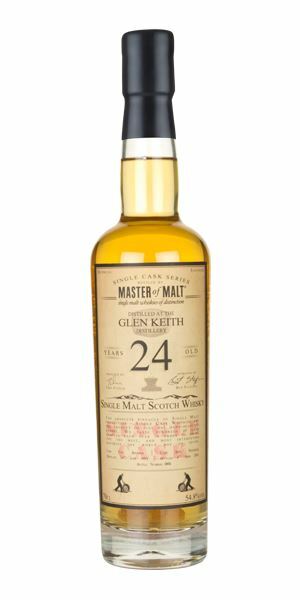 Next up is G&M with a Glen Keith distilled in 1993. It’s pleasant enough, yet Broom finds none of the complexity needed here to elevate the dram any further. However, the derailing train is righted thanks to a 15-year-old Glenlivet from G&M, exclusive to drinkers in Asia and Oceania. With fresh pineapple on the nose and sugared almonds on the palate, Broom rates it as ‘a pretty classy dram’ for fans of Glenlivet’s original Nàdurra expressions. 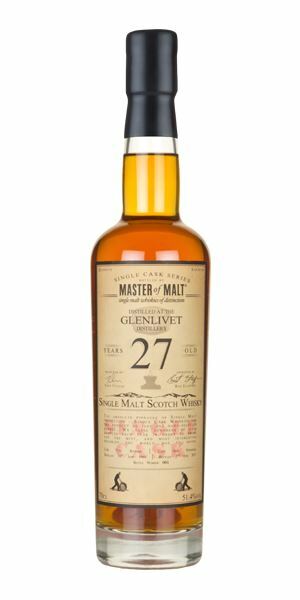 Not to be outdone, MoM retaliates with a 27-year-old Glenlivet that’s ‘truly excellent’ according to Broom, but he bemoans the price when compared to the 25-year-old distillery bottling. Finally, a Tormore 23-year-old, another Asia and Oceania exclusive, reminds Broom of an irate squirrel and a castle dungeon – in that order. Broom’s notes reflect the whisky’s nature, which is ‘by no means unpleasant, but distinctly odd’. Like the ratings, this week’s playlist is all over the place, with jazz’s legendary Carmen McRae rubbing shoulders with Milkshake singer Kelis. An eventful batch of reviews for an eventful, exhausting week. The aroma of fresh linen is first to emerge alongside a dusting of icing sugar on ice cold green grapes, then raspberry jam on thickly buttered white bread, gooseberry and some light jasmine. All of these are quite delicate, although concentration is needed (in both senses perhaps). Water brings out more vanilla ice cream but you do lose some of the more subtle notes. As expected, it’s light and very clean, with a lightly powdery start leading into a scented mid-palate with a fair amount of heat. It’s just lacking an anchor. With water you get touches of scented wood and banana milkshake, with a zestiness that’s now accompanied by a light green edge. Floral with some acidity. Ethereal. Has the freshness and bite which would make it a good aperitif, but just a little flighty in the middle. Sweet, sugary and slightly confected with creamy strawberry chews and candy floss, then in time the smell of a spring wood alongside beansprouts, pea shoots, waxed lemon and prickly pear. This green, slightly vegetal element grows when water is added, bringing out artichoke, some unripe pear and finally the smell of a new book. Lightly sweet to start, but with assertive acidity and a little more cask adding some creaminess and texture, giving things pretty decent balance though – like the Allt-a-Bhainne – it only flirts with the mid-palate. As the alcohol is a little blunt when neat, watering down is important. This allows things to sweeten a little as you pick up some nutty oak and a little juiciness, although everything then fades relatively quickly. A peppery finish with sugar-coated nuts. There’s no great complexity here but it’s a pleasant enough dram. …or Shake it like Sugaree. Extremely light to the point of invisibility. Almost new make in style with very low cask involvement – the pale colour gives that away immediately. To be honest, I wondered if my nose had given up. In time you can pick out some lime, though with water there’s little more than the knowledge that you have some spirit in a glass. Better, insofar it’s gentle and quite soft, though the alcohol (and lack of oak involvement) does give things a certain buzz. There’s little substance behind it. Water brings out some sweetness, lemon sherbet and, er, that’s it. When compared to the G&M Glen Keith above, you can see what a difference a cask makes. You spend ages trying to tease things out, but to be honest with all the whiskies out there will anyone really bother? Shall we just move along? Initially this comes across as a pretty classic Glenlivet, all apple, light florals, fresh pineapple and powdered ginger on cantaloupe melon, backed with a hint of green leaves. Water brings out more cask elements and considerably more of the pineapple, now with fondant cream and icing. There’s also vanilla and meadow flowers. Altogether rather lovely. Things kick off with sugared almonds, though this is balanced thanks to a sniff of white pepper, overripe pear and even a hint of the fresh slightly acidic quality of tomatillo. All of this is then further brightened by lemon and more ginger. It takes time (and a splash of water) for things to get going when more exotic elements begin to reveal themselves: now there’s blond tobacco, rose, cinnamon and fresh pomegranate. It’s layered, though still relatively subtle. Sweet, but with a little more cask. Steadily grows into a pretty classy dram. For fans of Glenlivet Nàdurra who want things dialled up. Eating Oddfellows on the way home from school. Clearly and immediately mature. Some old apple core then polished wood and sweet waxed leather aromas akin to that of an expensive vintage car; I thought a Bentley, but take your pick. Just as it seems ready to settle back into that plush interior, the top notes emerge – fresh red cherry, cherry blossom and pollen. It settles back into compressed fleshy (and lightly fermented) plum and light cigar. You lose a little of this heady complexity with water, but you do get added dark chocolate, cedar, some black fruits and tobacco leaf. A gentle, chewy start. The chocolate is there allied to slightly nutty oak, some more of the humidor and a mix of dried red and black fruits. The waxy element now helps to coat the palate and adds in a slightly exotic honeyed aspect. I prefer it neat, even at this relatively high strength. Water just tightens things a little without denting the innate complexity. Light oak. Complex and balanced. A truly excellent mature Glenlivet – but if you’re interested, it’s £140 more than the 25-year-old original bottling. A Deep River rolling by. Rich, yet dry. Raked beech leaves, nutshells and a musky quality (conceivably an irate squirrel) that then moves indoors to the dirt floor of an old wine cellar/castle dungeon (your choice) where you are being given a distillate of wormwood. In time, a sweeter element comes back along with smoked wood, a quality which is amplified by water. There’s now a honeyed element, some light, dried, sweet fruits and then – in typical Tormore style – an abrupt change of direction as things dry dramatically, wiping away the initial oiliness and leaving it as no more than a memory. Water does help to extend that tongue-coating quality and the sweetness (there’s now more toffee for example) but nothing will stop that rigidity enforcing itself on the back palate, taking you back to the raked leaves and dry bracken. Dry and slightly foosty when neat, but it’s more Mexican cooking chocolate with water. It’s by no means unpleasant, but it is distinctly odd. 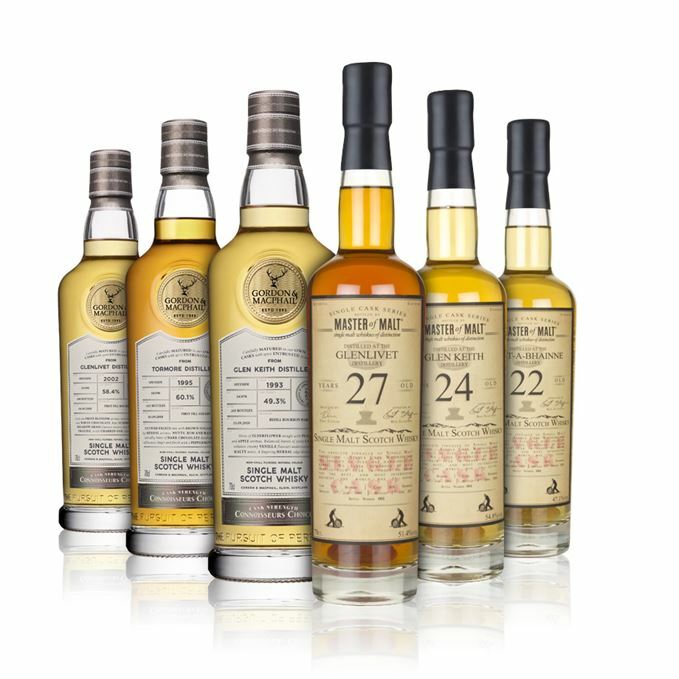 Batch 184 25/01/2019 Dave Broom samples six truly venerable whiskies totalling an impressive 316 years old. 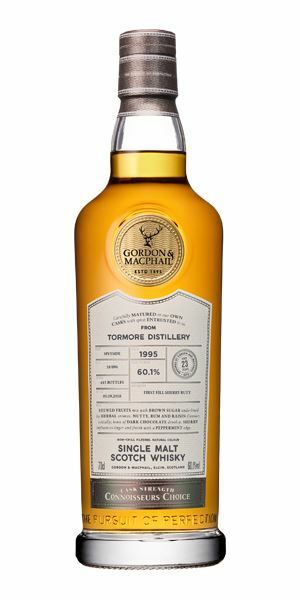 Batch 182: Game of Thrones Single Malts 11/01/2019 Editor Becky Paskin delivers her verdict on the much-anticipated Game of Thrones single malts.